These canning how-to tips came out of necessity. You see, I’ve been making my own barbeque sauce since I was a kid, but it caused conflict in my household. I loved using the sauce as a grilling marinade so I’d make gallons of my “New York Attitude” Barbeque Sauce and portion it into used plastic Wonton Soup containers. The shear number of containers would fill my Mom’s refrigerator. At the time, I probably had to go to the library and look through the encyclopedias. That seems laughable now, but even as a child, I knew there was a better way waiting for me. I found it with a 125 year old device, the two-part lid canning jar. The inventors of these jars are really the creators of every canning how to instructions from that day forth. The idea is simple. Their jars consist of a flat lid with a rubber washer to seal the jar. A band fits over the lid, securing it to the jar but also allowing air to escape. Under boiling water, air leaves the jar between the two parts of the lid. When it’s cooled, it creates a vacuum, sealing the jar in an anaerobic environment. This not only preserves the sauce, but keeps it safe from bacterial growth as well. Hot water canning is meant for highly acidic products like tomato sauce, marinades, and perfect for my barbeque sauce. At sea level, water boils at 212F or 100C. This is certainly hot enough to let the two piece lid do its job, and the acid content of the sauce will keep it safe. Inspect all jars, lids, and bands for defects. Wash all jars, lids, bands, and any other equipment that will come in contact with the sauce. Place a round cake cooling rack in the bottom of a very large stock pot and fill with water. Bring the water to a full, rolling boil. Place the empty jars in the boiling water to sanitize them. In a small saucepan or bowl, remove some boiling water and place the flat lids in the hot water. Prepare your barbeque sauce and keep it very hot. Be sure to leave 1-2 inches of “head room” between the sauce and the lid. Remove the flat lid from the warm water and place it on top of the jar. Secure the lid with a band and hand-tighten only. Place the filled jar, standing up, into the boiling water canner. Wait 15 minutes and remove the jar to cool. As the barbeque sauce cools, you’ll hear the vacuum created as the jar lids are sucked toward the interior of the jar. Soft “ping”, “ping”, a symphony of suction is created and the jars are now safe for storage. Any jar lid that still yields to pressure when pressed with a finger has not sealed correctly. It should be refrigerated and not stored at room temperature. 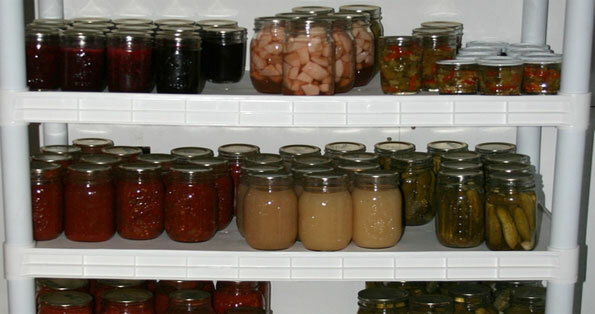 The canning how to instructions are different for low acid products, because there’s greater risk of bacterial growth. Items like vegetables or protein-based soups must be canned in a high-pressure canner because the boiling water bath does not get hot enough to assure the safety of the food. As a child, I simply wanted to preserve refrigerator space. What I discovered is a process that’s been around for more than a century. 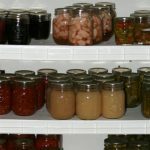 Home canning saves money, preserves fresh ingredients, and is a fun and easy hobby when you know the canning how to steps. See the entire Canning How To video here. Chef Todd Mohr’s passion for cooking with fresh ingredients has improved the health and well being of thousands all over the world. His FREE video seminar, How To Cook Fresh, reveals the top 3 mistakes everyone makes when choosing fresh ingredients. I am getting ready to make 2 gallons of bbq sauce to process in BWB. Why does the county extension agency say that one needs to use only their recipe to be approved for bbq sauce/BWB? My recipe is the betty crocker and am sure it had plenty of acid in it to do BWB. Please send me your comment on this.